After the gloryful first day, our second was supposed to start with the breakfast at 8. Though the breakfast was ready at 8, we were not. It was immense fun to curl around in the blanket in that chilling weather. It was a special morning with barely any sunlight and seemed like the valley also chose to curl around in the weather. The entire place looked gloomy and was partially covered with mist. It was an inspiring start to the day unlike traffic signals, shouting neighbors and noise. It was the birds that were making the melody here. It had rained even the previous night and the water droplets were trickling down from every leaf around the estate. Tiny blue flowers were just opening their eyes along the walkway. The morning was a sizzling new experience. Charging up all possible energy we started our in the Scotland of India – Kodagu a.k.a Coorg. Paaput with a delicious vegetable gravy was our breakfast for the day. Paaput is again a coorgy delicacy made with broken rice, milk, cardamom and with grated coconut spread over the cake slice sized pieces. Filling in stomach full of Paaput pieces and another cup of coffee, we were all set to vacate our home stay. Bidding farewell to the caretaker, thanking his hospitality, we headed out of that wonderful place through the same coffee plantation. Our first stop for the day was Paadi Igguthappa temple, the most sacred temple for the entire Kodava community. There are no occasions among the Kodavas that begins without the mention of Lord Igguthappa or Kaaveramma. Writing about Kaveri would take another entire blog. In one simple sentence, River Kaveri is the lifeline of Kodagu. She is also touted as the Jeevanadhi of Karnataka, the river that sustains life, as she makes the land fertile all along her way before joining Bay of Bengal. Hence she is prayed and invoked in all celebrations of Kodavas. While Kaveri sustains life with water, Igguthappa sustains life with rice or food. Said to be one of the avthars of Lord Subramanya, Igguthappa means the one who provides food, thus sustaining life. To resemble this, Paadi Igguthappa temple conducts annadhaanam (giving away food) every day to everyone who is present there during the lunch time. The priest in the temple explained the importance of Lord Igguthappa being worshipped as the father of Kodavas while River Kaveri is worshipped as the mother. A 35kms drive from Kakkabe via a small town of Napoklu and through unwinding roads amidst sprawling coffee plantations, we reached Madikeri, the heart of Kodagu district. The Town of Madikeri is named after the king Muddu Raaya who built the city and named it Muddu Raayana Keri. 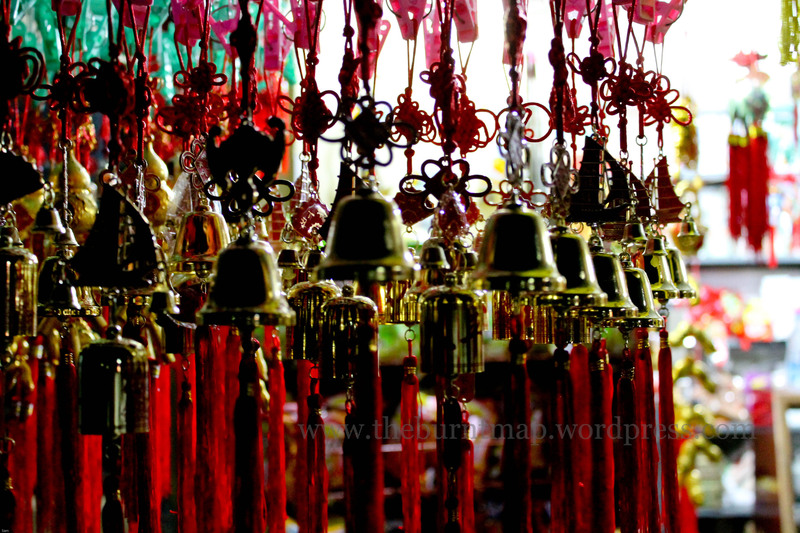 This town still has an ethnic charm with some historical and colonial structures resounding the tales of untold times. Our destination was Abbey Falls which is 8kms away from the town. Abbey Falls is a waterfall nestled in the center of another lush green coffee plantation. The Madikeri thore, a combination of numerous streams and smaller rivers, also a tributary of river Kaveri, jumps down into the calm pool through huge boulders making two tiers. The top one being a smaller and then taking bigger and wider leap of close to 70 feet at the second. As we walk downhill through a paved way in between the private coffee plantation, we could hear the roar made by the falling Abbey. The 500mtrs walk through the coffee plantation is a treat in itself. Watching the twined pepper along the trees and green coffee seeds on the plants, it is also a bird watcher’s paradise. We found many different and vibrant species all around. Another few steps and the Abbey falls suddenly makes appearance amidst the coffee plantation. 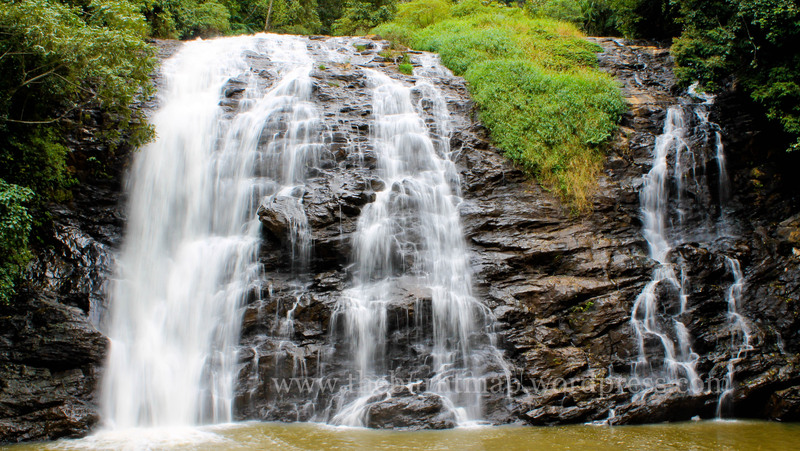 The British named it Jessey falls in remembrance of the daughter of the first priest of Madikeri. Later it was renamed as Abbey which roughly means snow or foam fall. Previously tourists were allowed to climb down to the waterfall and spend some time in the water but due to increasing number of irresponsible tourists losing their lives, now it has been banned anybody getting into the water. There is a hanging bridge that runs across the flowing water and tourists can take a splendid view of the falls from this bridge. This place offers plenty of opportunities for a bird watcher with this water source and the surrounding plantation making perfect home for many rare birds. We had some utterly tasty butter milk at the entrance of the falls. This was prepared with lot of spices and kept in an earthen pot making it a tang better than any butter milk. Cardamom and Ginger are the other major crops of Kodagu, Madikeri taluk even has a Guinness world record for the production of Cardamom. This abundance makes its use in almost all the delicacies that is prepared here. These spices can make your taste buds dance in its every word. Munching on some churmur, we headed to our next destination. On our way out of Madikeri to Chiklihole reservoir, we found some fresh oranges being sold by the road. We had to make up for the lunch. 3kgs of freshly plucked, deliciously tasty oranges did not last long. Coorg is also famous for the tasty Kiththale that is grown here. The greenish, pale orange and bright orange colored fruit all have different tastes. While the green ones are mildly sour and leave a bite on the tongue, the orange ones are sweet and juicy. Though the cultivations has taken a hit due to some dreaded diseases to the orange plant, there are still few estates which provide tasty Kiththale. We were lucky to have spotted a roadside vendor who was selling some delicious oranges. Books say, Coorg was one of the major exporters of oranges during 70s. Now this trend seems to have reduced and today when somebody mentions about Coorg and orange then their talks end up at Orange County, a luxurious resort in Coorg! 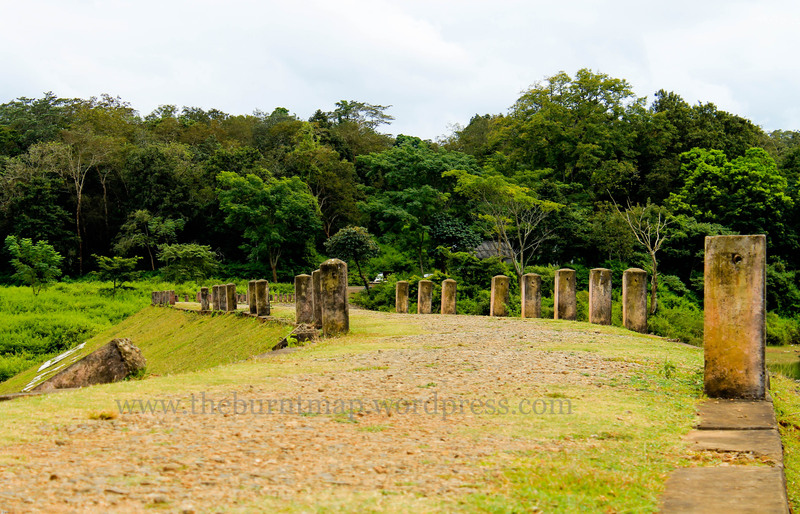 As we drive towards Kushalanagara from Madikeri, we cross Suntikoppa and a diversion towards the right after few kilometers from the main junction takes us to one of the lesser known but beautiful locales of Kodagu. Coffee plantations & small villages suddenly give way to a water body and you see the white colored writings ‘Chiklihole Reservoir’ on green slopes. The first look itself is refreshing. As you climb the steps up to the dam, the breathtaking landscape around the backwaters will have your mouths open. Unaffected by the thronging tourists and their buzzing noise, Chiklihole reservoir is one of those untouched places in Kodagu. This entire place which has a dam with a unique water outlet design, green slopes, canals and large backwater area with a thick forest & mountain backdrop is definitely one of the places that can relieve anybody’s stress. The charm of the place is that it is extremely calm, tranquil and breezy. Chiklihole is a small dam constructed across one of the tributaries of River Kaveri for the irrigation purpose to nearby villages. 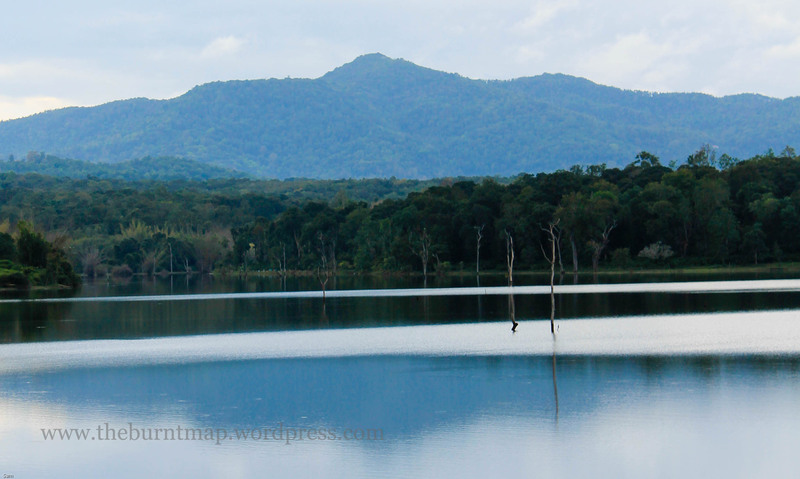 The backwater area is very vast with Meenkolli reserve forest on the left & coffee plantation on the right side making it a captivating surrounding. The dam has a capacity of 0.18TMC storage and is one of the first ones to fill during the monsoon. The most unique part of this dam is that it does not have crest gates and the water is let out through an automatic semi-circular bowl shaped outlet. When the water level goes above a certain level, it automatically overflows into this bowl shaped structure making it a spectacular treat to eyes. This is further connected into canals on the other side of the dam which take water to the farmer. It is also a bird watcher’s heaven alike most of the places in Kodagu. It was here I had one of my best bird sightings so far with my wanna-be-ornithologist friend. Though I had no idea about bird watching and their types, I thoroughly enjoyed seeing some birds which I didn’t know existed. Moreover, the tranquility made sure that a bird could be heard even when it cleared its throat. 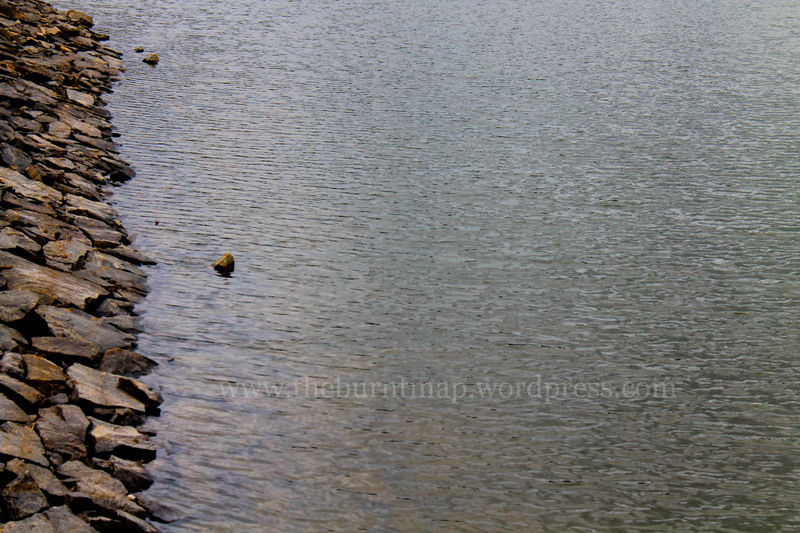 Many people compare this reservoir to that of Periyar in Kerala for the similar tree stumps protruding out of the water. 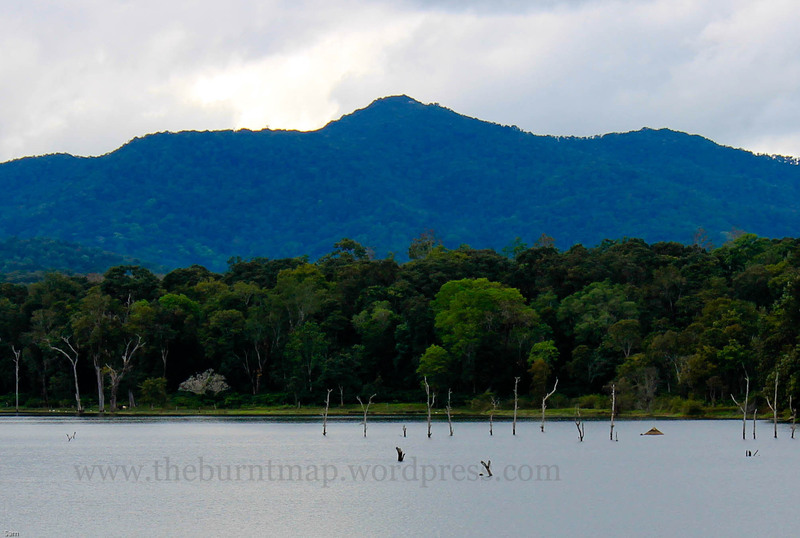 The curved and straight dry stumps raise above the water surface making the place look similar to Periyar. The stunning backdrop of forests, coffee plantations and mountain only increases the beauty of the view by multiple folds. This place is mesmerizing in its all words. An absolute spot if you plan to meditate green! 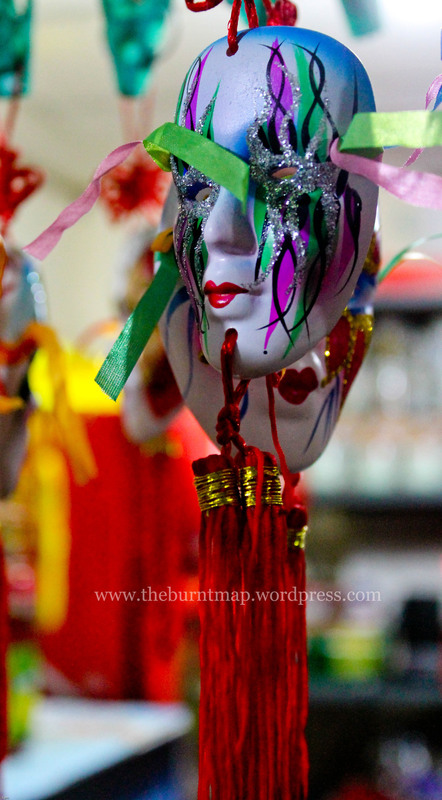 The cool breeze, exotic locale and calm surrounding may bring out the poet in you, beware! After filling up lung full of green oxygen, we moved on to Bylakuppe, the Tibetan settlement near Kushalanagara. When Tibet was invaded by the Chinese during 60s, Indian government accepted the exiled Tibetans with open arms and provided refuge until their homeland was liberated. During those days, the south Indian state of Karnataka offered 3,000 acres of jungle-land for the construction of refugee camps near Kushalanagara and today Bylakuppe has more than 15000 monks who practice their culture, making it the second largest Tibetan settlement outside Tibet. As you drive from Kushalanagara towards Bylakuppe, one can notice the red flags and the deep red-golden clad monks passing by. The huge circular structure on the top of the temple welcomes you into Bylakuppe. Golden temple is the major attraction in this settlement. The Namdroling monastery, as it is named, belongs to the Nyingmapa sect of Tibetans. The temple houses the 70-80 feet tall statues of Buddha Padmasambhava, Lord Buddha and Buddha Amitayus which is the centre of attraction. The gold painted statues were sculptured by experts from Tibet & Nepal and the writings here say that these statues were filled with holy books, holy remaining of previous lamas, sacred scriptures etc during construction. The peace and divine feel that is felt here is enormous. It gives a blessed feeling to be around. Along with agriculture, the Tibetans also sell their ethnic handicrafts and other versatile items to make a livelihood. As you take a stroll around the temple, we can see monks, young & old, walking around with some books in their hands and if they find you looking at them, they just nod their head with a welcoming smile. But even behind their smiles what seems to persist is their urge and eagerness to return to their homeland which has become a distant dream. I wonder how many of them are aware that Chinese emigrants have occupied Tibet so much that Tibetans are now a minority in their own country. The holy city of Lhasa is now a buzzing tourist centre, and the Chinese still rule with supremacy. Dreams & pain shimmer in the eyes of every monk but with no answers. That was curtains to my (I lost the count) .….th Kodagu trip. Covering another new place on the first day, which also happens to be highest point in entire Coorg, and going around the good old places once again on the second, I wrapped up my holiday with enormous satisfaction. Not only me, anybody who travels to Coorg is sure to return back with loads of inspiration, enthusiasm and overwhelming joy which makes them return to this beautiful land again. Because this is one place which can beckon you from time to time for its brilliant landscapes, loving people, mesmerizing mountains, sparkling water bodies, tongue-tickling cuisine, curious culture and more. This is a paradise in all terms. This is a different land altogether. This is Kodagu, the Scotland of India. Looks and sounds like an extraordinary place, I will be thrilled to visit it one day! I’m just not quite sure how many memory cards I have to drag with me! Thanks a lot, Berry! and sorry for having replied you this late. My bad! Keep visiting! 😀 Bon Voyage! Wow, marvelous blog layout! How long have you been blogging for? you made blogging look easy. The overall look of your web site is magnificent, as well as the content!. Thanks For Your article about Coorg Calls! Trippin' On Lifeâ„¢ . Thanks a lot! 😀 I have been blogging lazily (!) for about 7 months now! 😀 Thanks for dropping in! Welcome to the Trippin’! I simply want to tell you that I am just very new to blogs and truly enjoyed you’re blog site. Very likely I’m planning to bookmark your site . You definitely have exceptional posts. Regards for sharing your blog. Thank u very much, Marco 🙂 that’s a great appreciation! Thanks for dropping in. All the best with your blogging! Bon Voyage! Oh my goodness! Incredible article dude! Many thanks, However I am going through issues with your RSS. I don’t know the reason why I am unable to join it. Is there anybody having similar RSS problems? Anyone who knows the answer can you kindly respond? Thanx!! I just want to tell you that I am just beginner to weblog and definitely enjoyed this web site. Very likely I’m going to bookmark your site . You really come with really good article content. Bless you for sharing with us your website page.